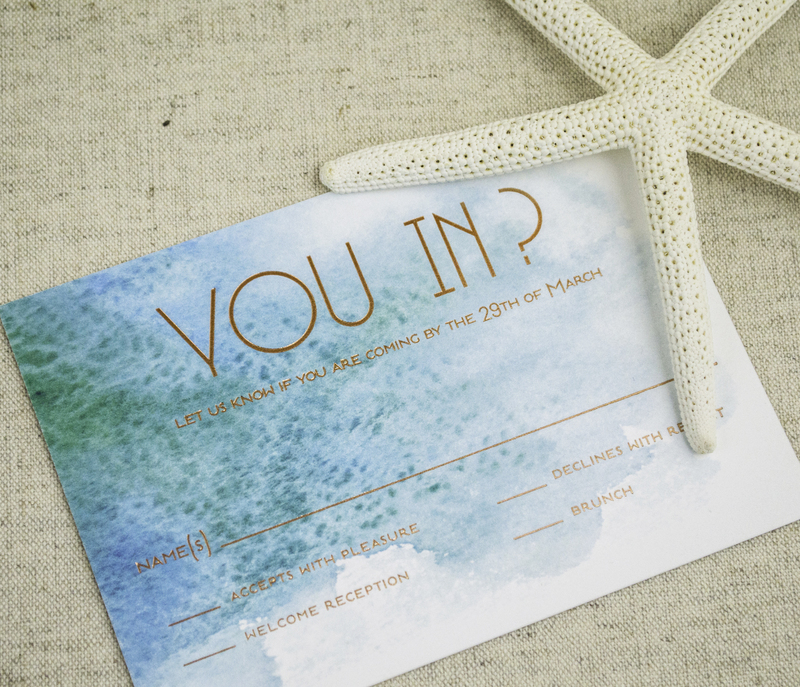 We are in love with these modern beach-themed wedding invitations! Mary + Beth exchanged their vows at the iconic Don Cesar, a beautiful, historic hotel set on edge of the pristine waters of the Gulf of Mexico. 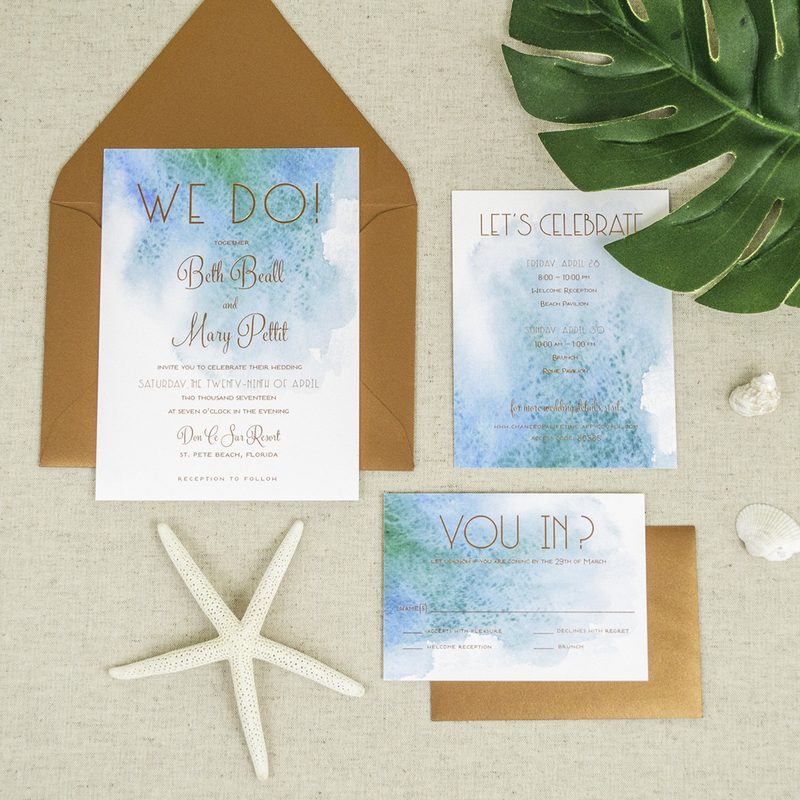 This couple wanted a modern and elegant (but not too formal) design that would reflect their theme without having the typical “beachy” elements. 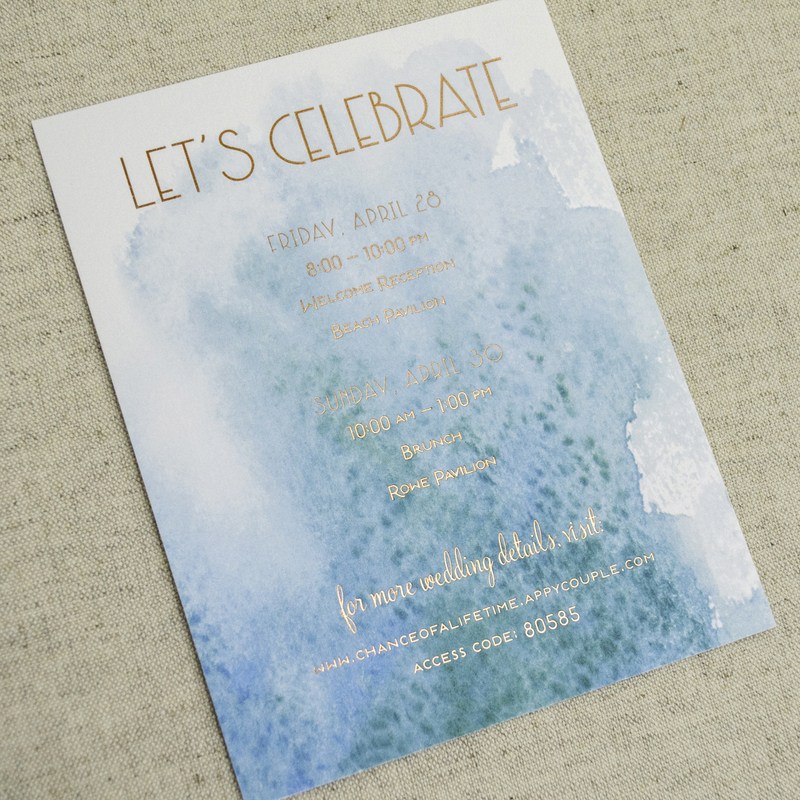 To bring their vision to life, we created an oceanic watercolor wash that perfectly reflected the couple’s wedding palette (blues and greens). 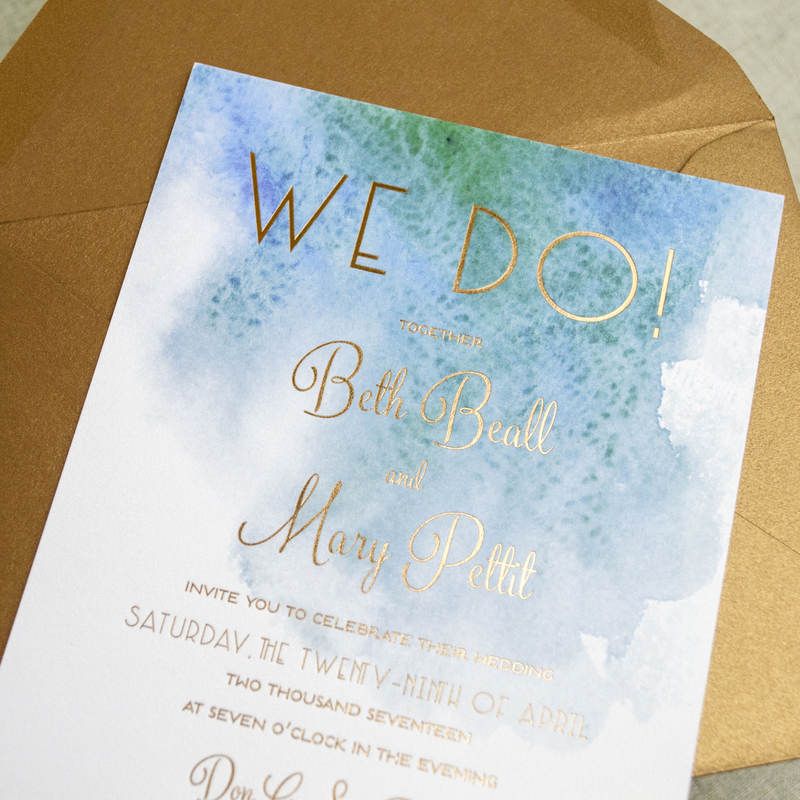 For a more contemporary look, we used a modern font and printed the invitations in copper foil instead of the traditional gold foil. 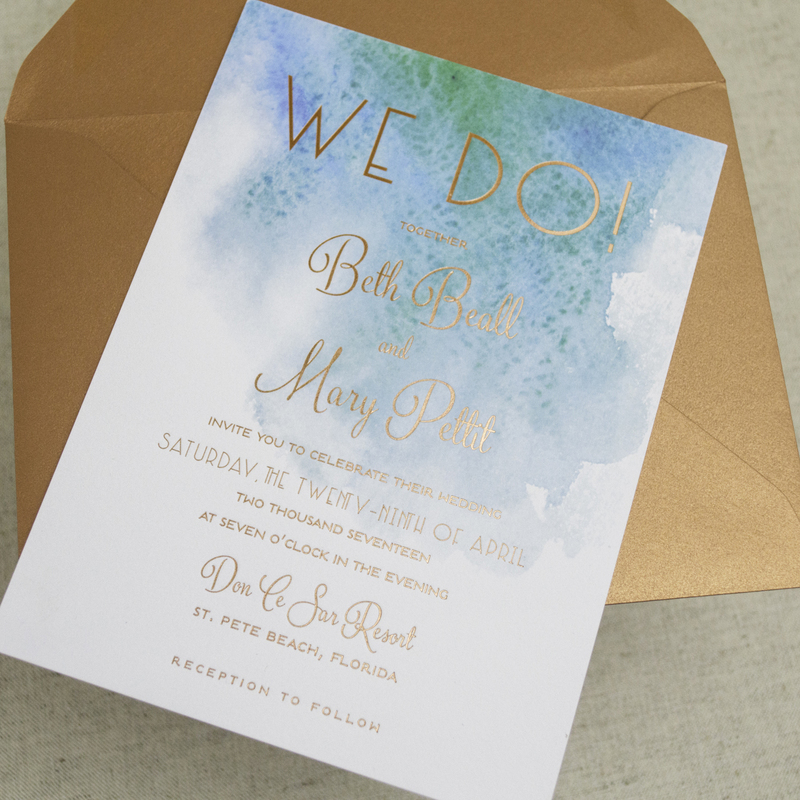 For the finishing touch, we paired each invitation suite with copper pearlescent envelopes. 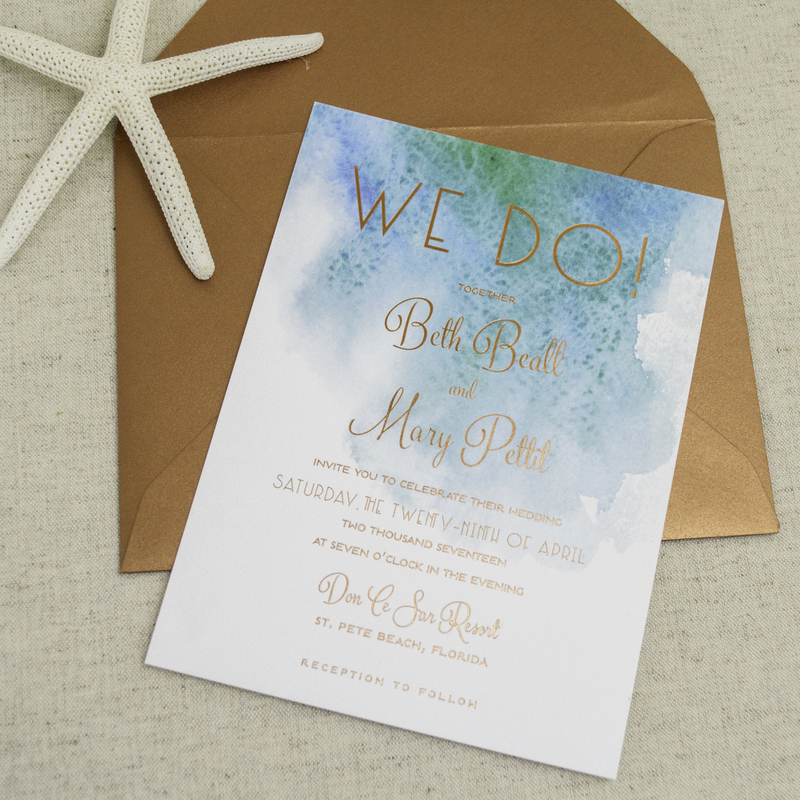 We just love the way these wedding invitations feature a unique beach themed design for a modern seaside soiree!